Lambert Syrup was developed in 1887 in St-Zéphirin-de-Courval, near Drummondville, Québec, by Québec physician Joseph-Oliver Lambert. 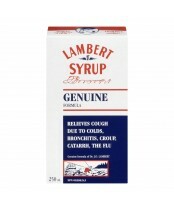 Lambert Syrup has since then been part of our history, effectively relieving cold and flu symptoms for generations of Canadians, and is still available in pharmacies, grocery stores and mass retailers across Québec. Its packaging showcases Dr. Lambert’s famous mustache and warns of imitations that would not bear the signature and photo of Dr. Lambert. 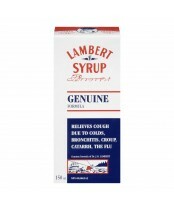 Now over 120 years old, Lambert Syrup hasn’t lost any of its potency and remains popular with Canadian families.